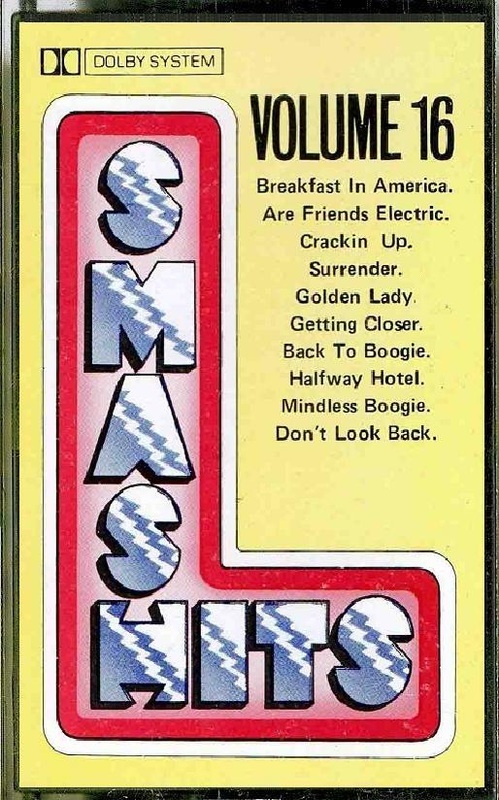 This lengthy run of cassettes was issued by the Artistry label, and appeared initially on their 5th Avenue imprint, simultaneously with (or very soon after) the unrelated re-launch of the Parade of Pops cassettes on Chevron (see separate page). 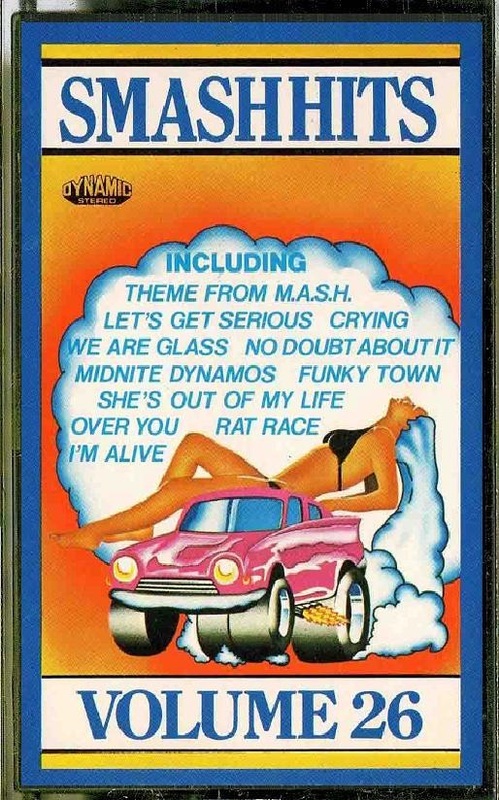 It is apparent that these cassettes closely mirror Parade of Pops in terms of track choice, although it should be noted that the recordings here were made in-house and not purchased in. 5th Avenue seem to be named in acknowledgment of the older Avenue label, since Artistry owned the rights to the old Avenue recordings and re-issued several LPs on cassette. They also operated from the same London address. 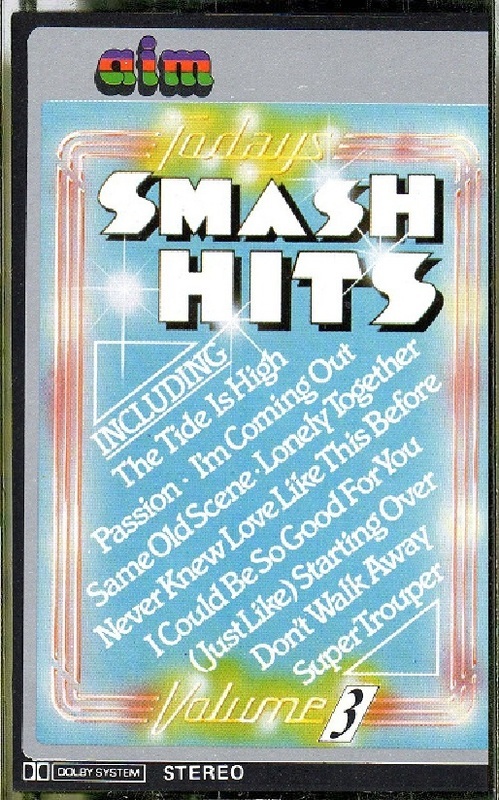 The Smash Tracks/Smash Hits releases were usually compiled by Colin Richardson. 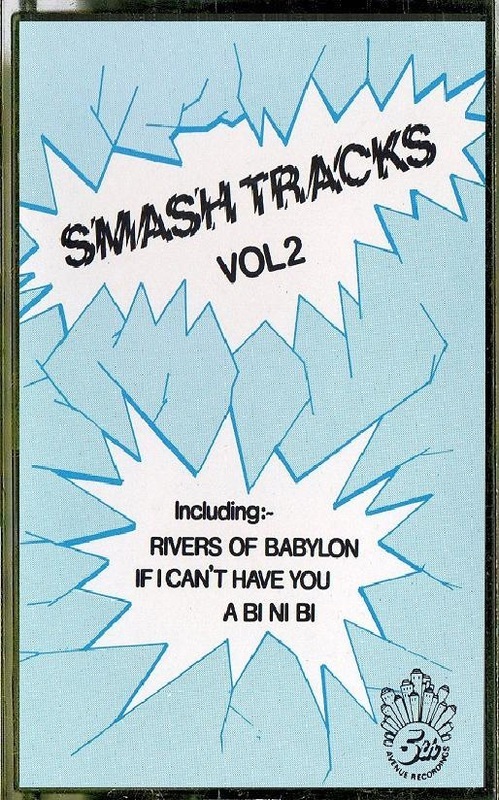 The musical arrangements were generally looked after by Richard Franklin (and sometimes Steve Cameron), and on a few cassettes we see the ensemble billed as The Artistry Orchestra & Singers. 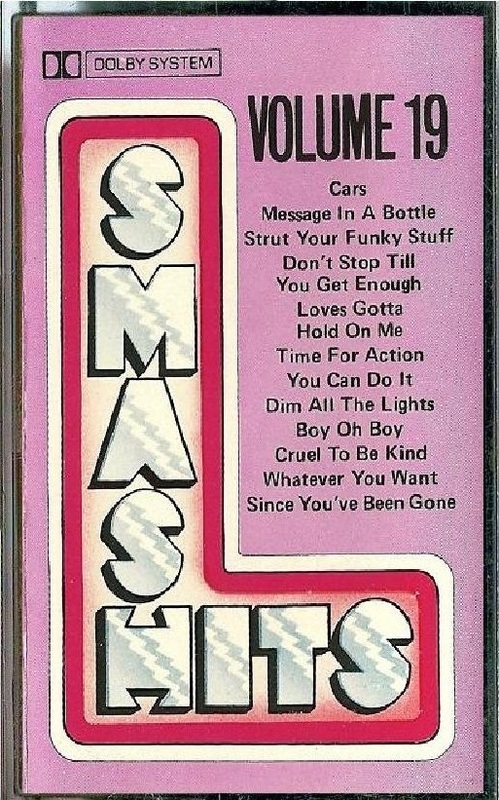 In early 1979, Smash Tracks moved over to the parent label, Artistry, who went on to switch the series title to Smash Hits. 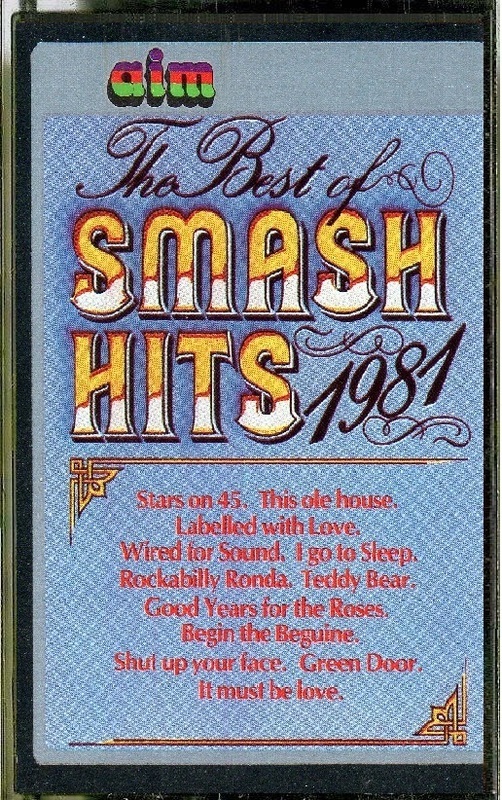 The cassettes continued to emerge approximately every month, and ran as high as volume 26, switching again to the Dynamic label. 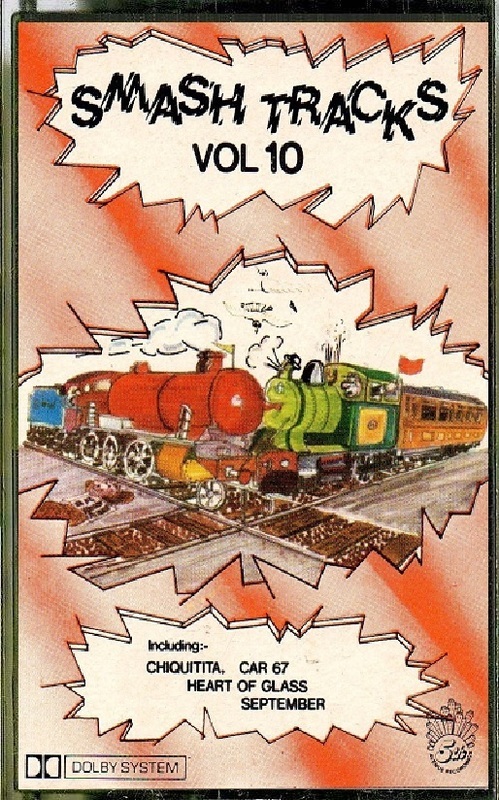 Thereafter, a proper re-launch was attempted via the aim label, with another tweak in the series title but no interruption of supply. 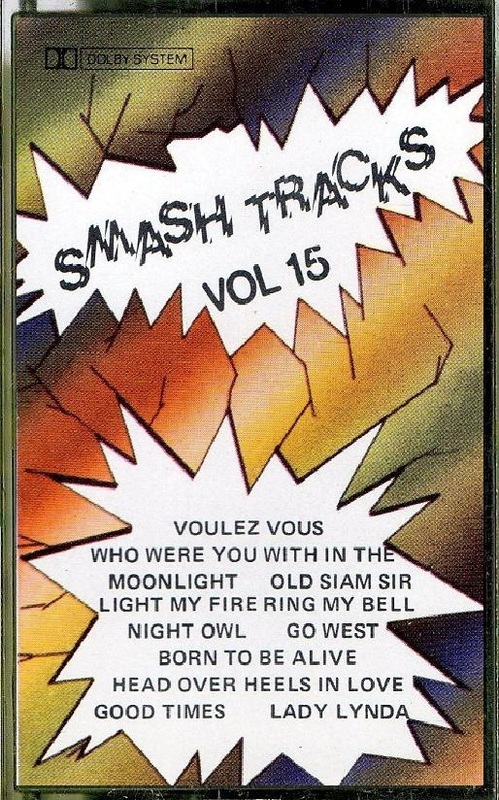 The Artistry label is still active, and frequently re-issues CDs containing old cover versions from the Avenue albums and elsewhere. See our BLOG posts for news of their latest releases. 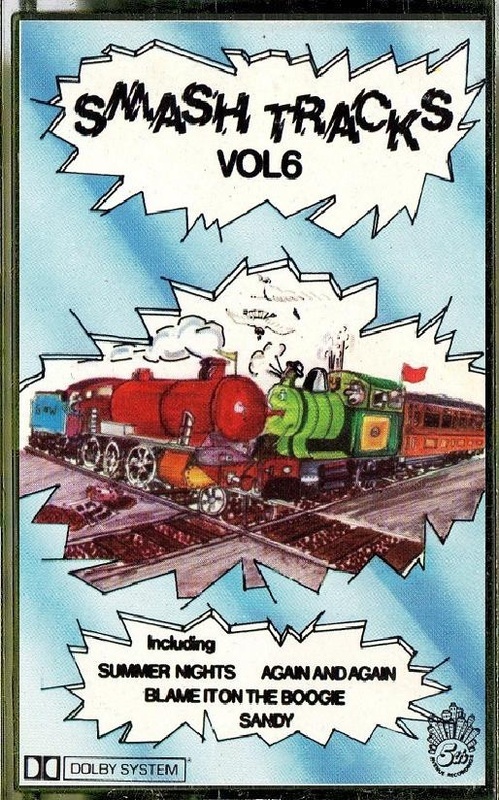 * Thanks to Ian Byrne for bringing this series to our attention, and for some of the cover scans. 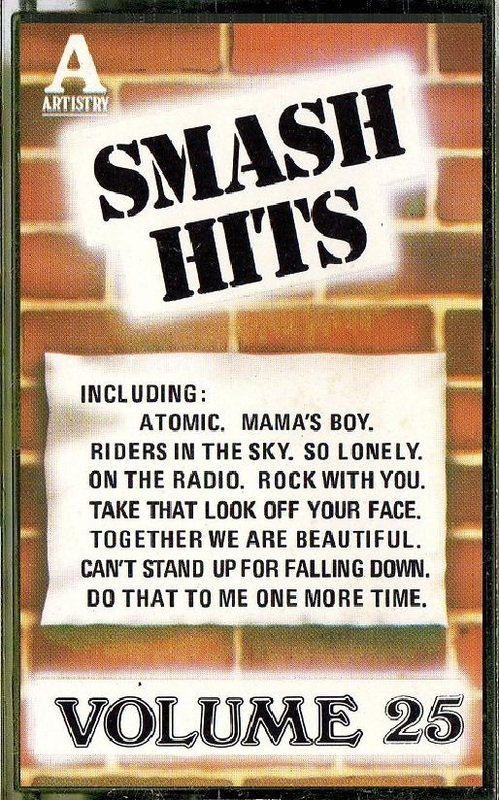 * Special thanks to Artistry's Colin Richardson for copying the rare cassette inserts for us, and for background info. Comments: All the songs on this album were hits in April/May 1976. 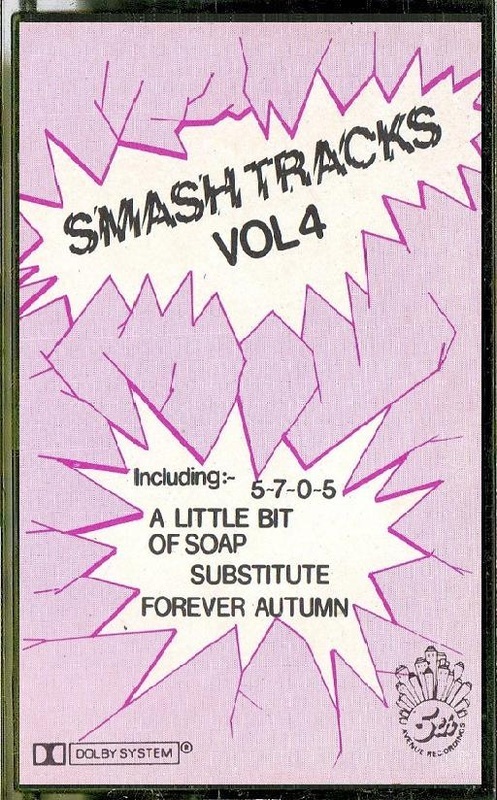 However we have no evidence that the label was active that early - and given the fact that the follow-up volume is from 1978, we assume this came out simultaneously or just beforehand. Comments: "Accompaniment Director" is Richard Franklin. 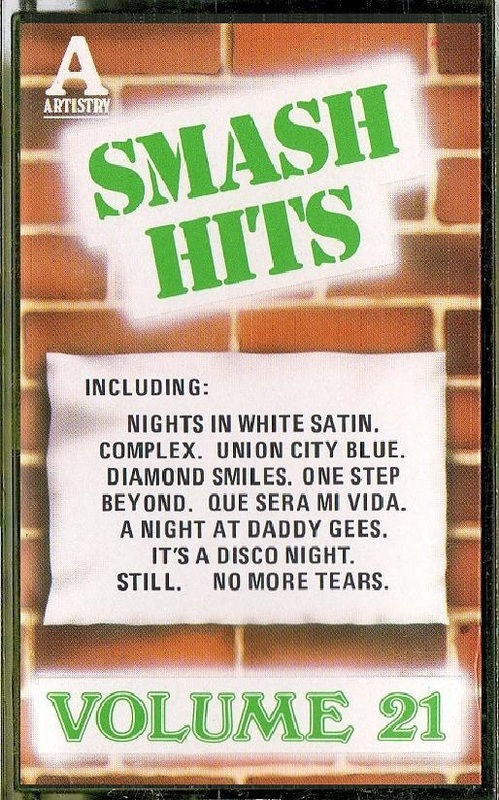 This cassette included ten tracks which also appear (as different recordings) on the current Parade of Pops. 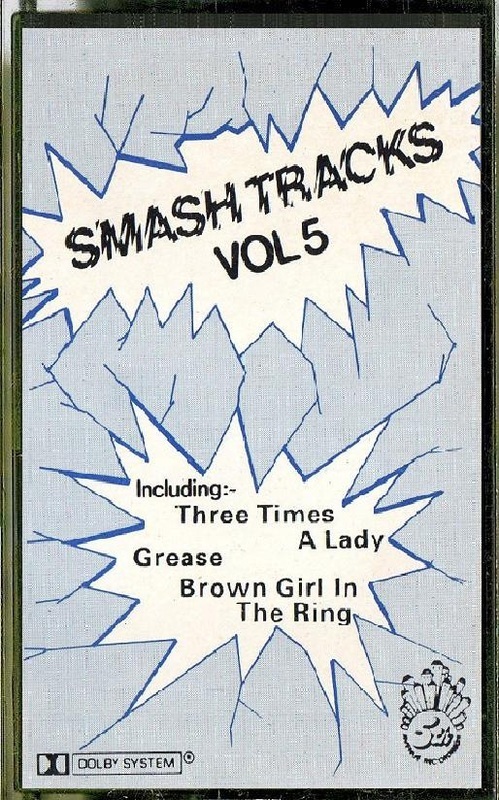 This leaves two tracks on Parade of Pops which were not included here ("Three Times A Lady" and "Brown Girl In The Ring") but both were apparently recorded for the cassette - but held off until Volume 5 (see details below). 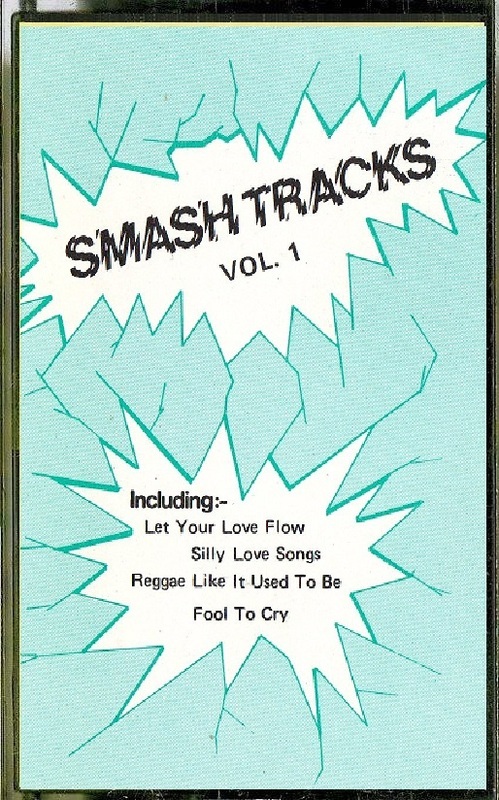 This cassette has an extra track on side 2, bringing the song count to 13. 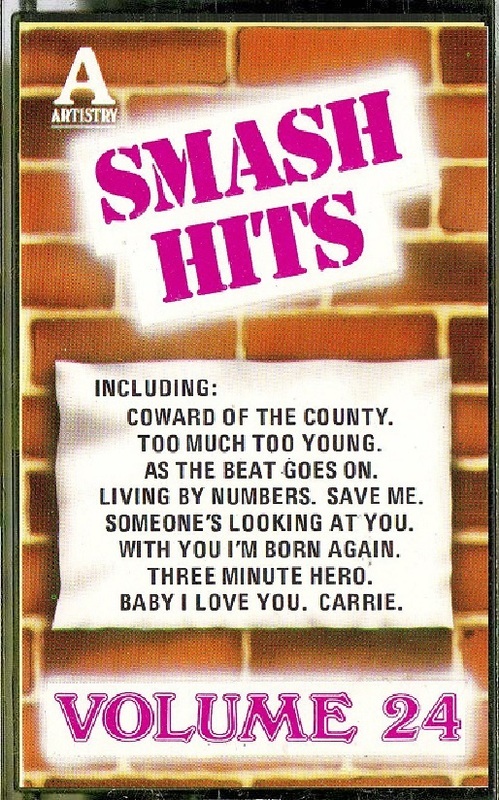 Comments: There are two apparent leftovers on this cassette, which were recorded with the Accompaniment Director, Richard Franklin. 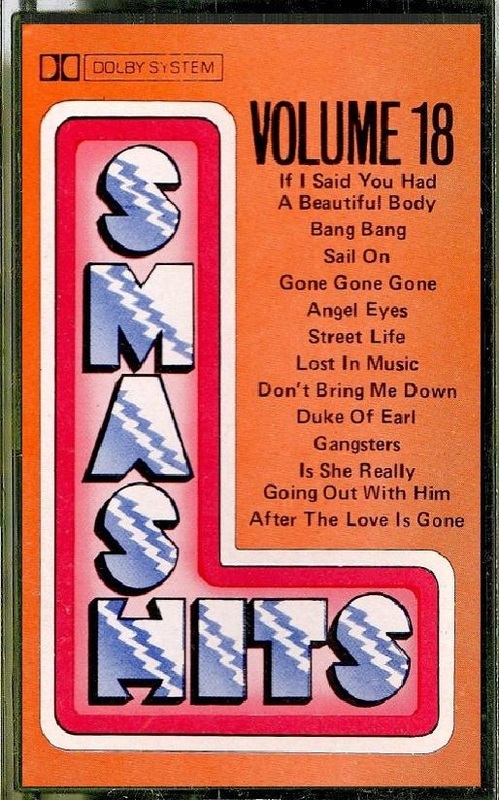 (These two, added to the contents of the previous volume, mean that Franklin recorded every song which appeared on Parade of Pops volume 4.) 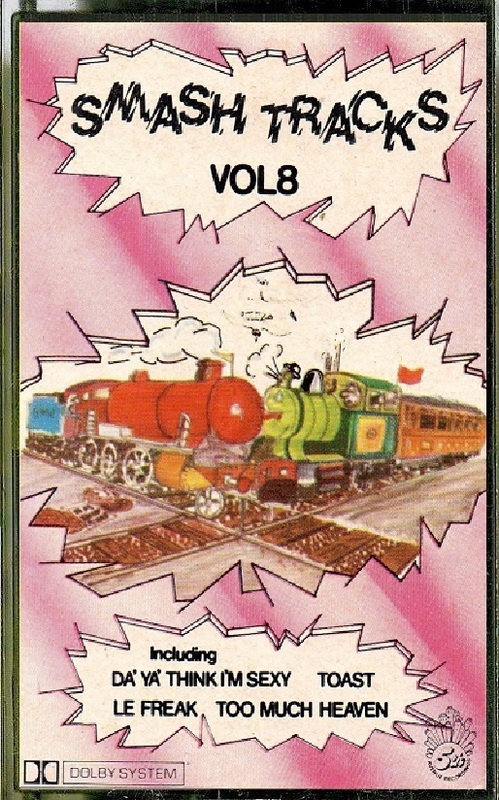 The rest of the tracks have Accompaniment Director as Steve Cameron. Comments: This album only contains 11 tracks. Comments: This album only contains 10 tracks. 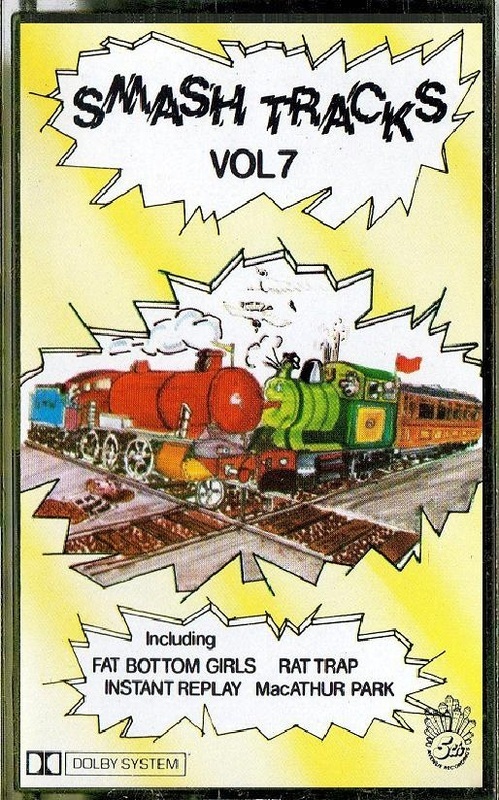 Comments: "Henry Ford" was not a hit at the time, and whereas the musical director on the rest of the album is Richard Franklin, that particular song has Alan Caddy's name against it. Is is probably therefore an old recording. Comments: Series transferred to the parent Artistry label. 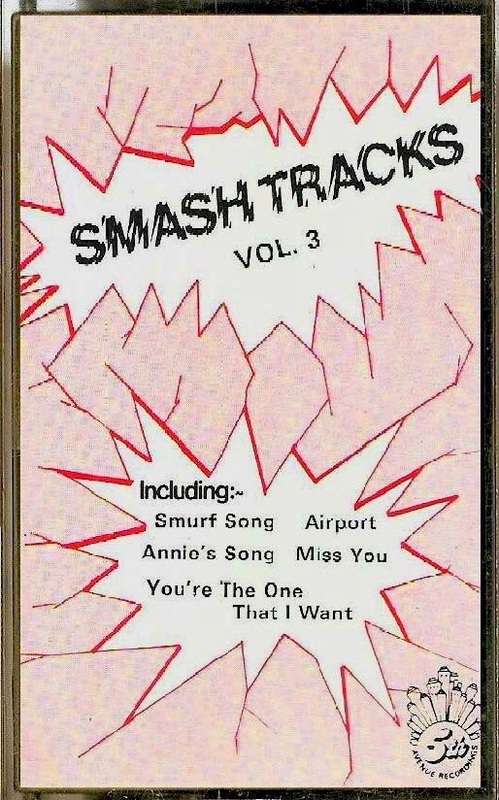 Comments: This cassette was released on the Artistry label, the series having been transfered at some stage this year (we are unclear as to the precise point of change-over). This album only contains 10 tracks. The first nine titles all appear (as different recordings) on the current edition of "Parade of Pops". 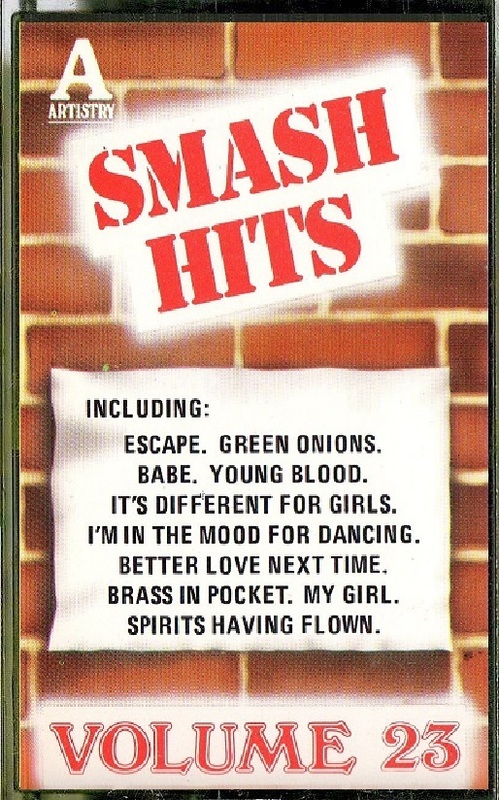 Comments: The series has undergone a name change to "Smash Hits". 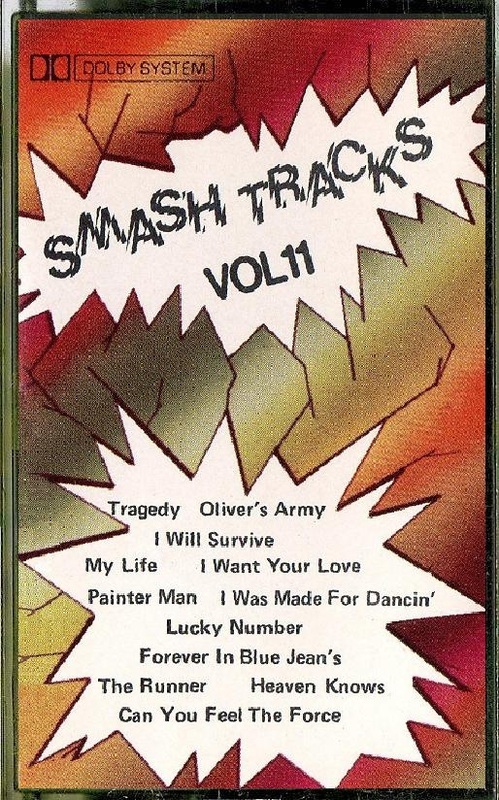 This album only contains 10 tracks. Only four of them entered the UK charts. This edition was compiled by Ray Rich rather than usual compiler Colin Richardson, underlining its slightly unusual nature. Comments: Releases are piling up, with two July cassettes being issued (possibly accounting for the shorter length of the previous few editions). 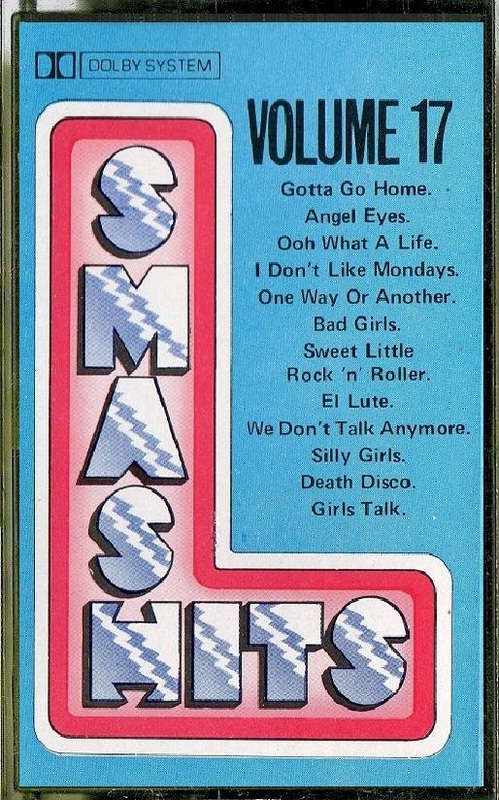 The track "Silly Games" is listed on the cover as "Silly Girls". "El Lute" (track seven) was a double-A side with "Gotta Go Home" (track one) for Boney M.
Comments: This album only contains 10 tracks. 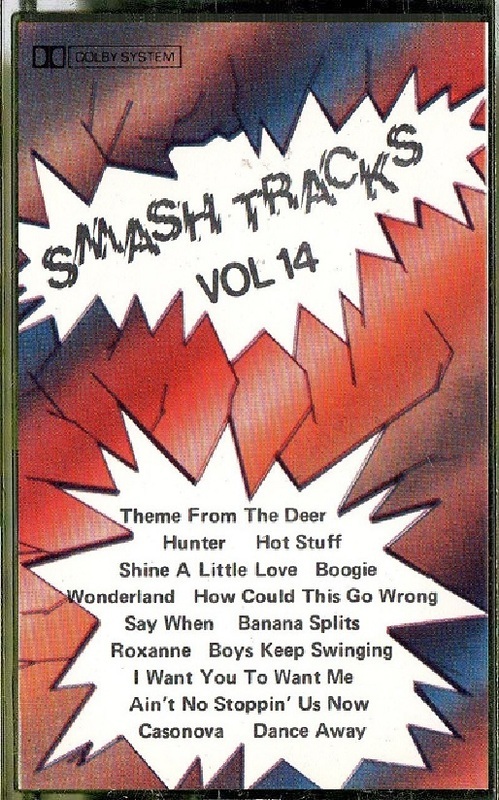 All the titles appear (as different recordings) on "Parade of Pops" volume 14. Comments: This album only contains 10 tracks. 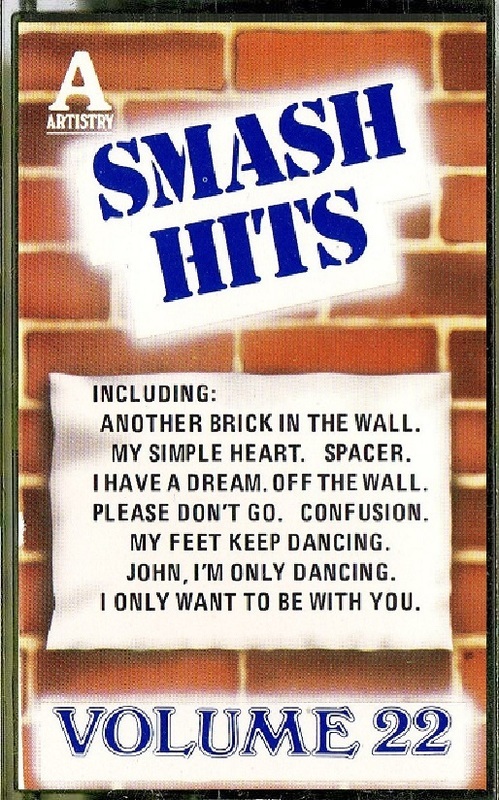 Musicians conducted by Colin Raymond, except "I Only Want To Be With You", which is credited to Steve Cameron. Comments: This album only contains 10 tracks. Musicians directed by Steve Cameron, except "Spirits (Having Flown)", which is credited to Richard Franklin. Comments: This is the first album for three months, and the series is now being hosted by the Dynamic label. This suggests a re-launch was being planned, although this would happen elsewhere (see below). 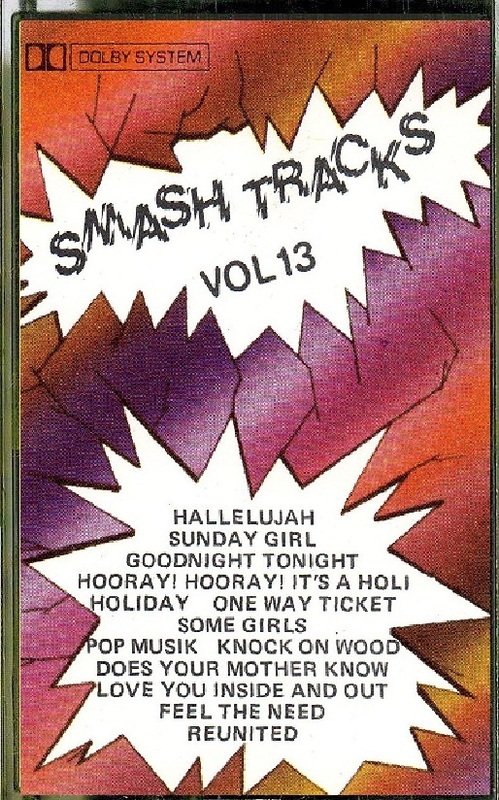 All these titles appear (as different recordings) on "Parade of Pops" volume 18. 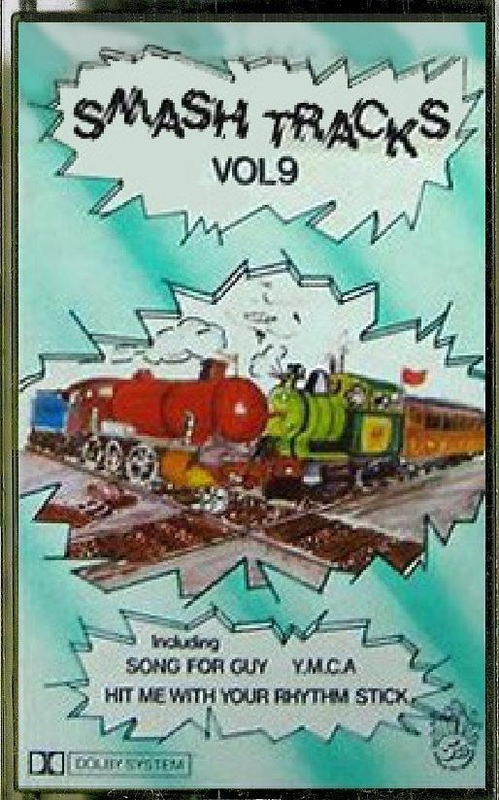 Comments: Nine of the 12 songs are known from the main series. Comments: Released on the Aim label. 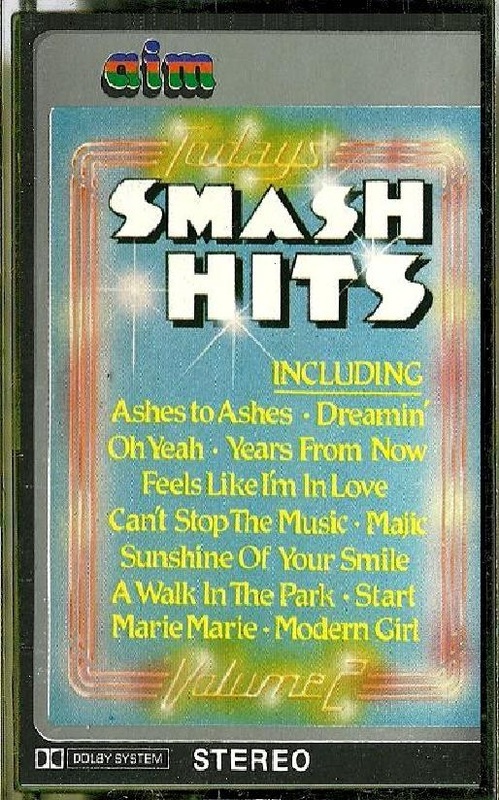 Front cover gives title as "Smash Hits..." but "Smash Tracks" appears in all other places. 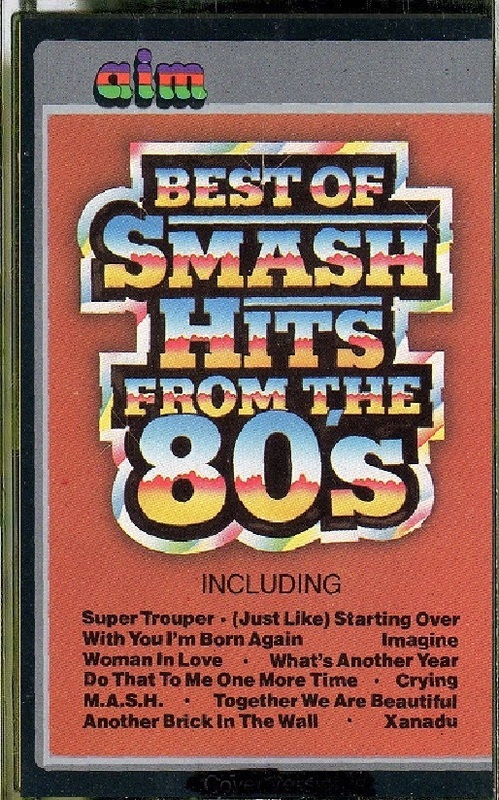 All songs were hits during 1980 and at least half are from the above series. Comments: Released on the Aim label. 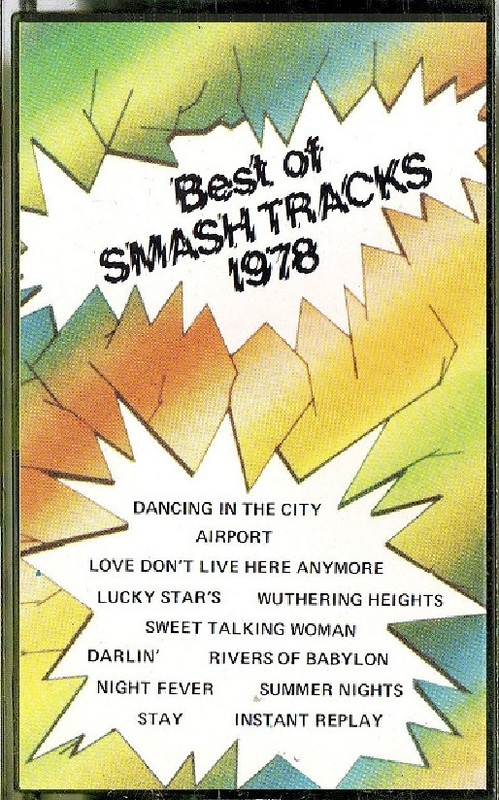 All tracks were hits during 1981, but there appear to be no parent albums from that year, so these were probably recorded especially.